Your legs are in good hands with Dr. Mohsin Sheikh, a board-certified physician in vascular and interventional radiology. His broad medical experience combined with his vein disease specialization results in healthier legs for his patients. Vein Specialization: Dr. Sheikh has extensive training in phlebology, the diagnosis and treatment of varicose vein disease and related disorders. At Vein Clinics of America, he specializes in ultrasound-guided foam sclerotherapy and endovenous thermal ablation. Medical Credentials: He received his medical degree from the Chicago Medical School in North Chicago, IL. He completed his residency in diagnostic radiology and a fellowship in vascular and interventional radiology at the Henry Ford Hospital in Detroit, MI. 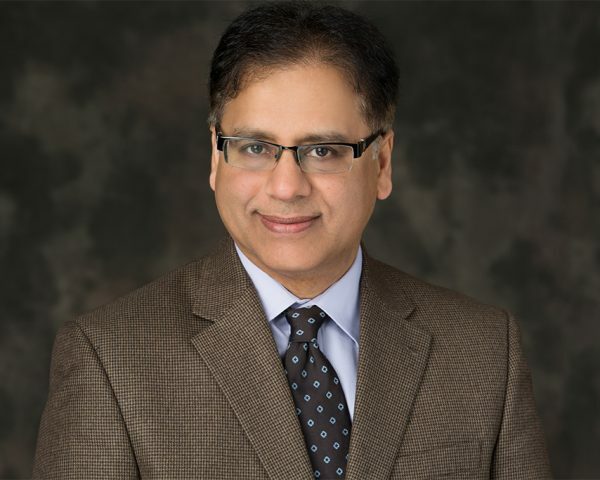 Prior Experience: Dr. Sheikh practiced at Rush-Copley Medical Center’s Department of Diagnostic and Interventional Radiology in Aurora, IL and at Methodist Hospitals in Gary and Merrillville, IN. Professional Affiliations: He is a Member of the Society of Interventional Radiology, the American College of Radiology, the Radiological Society of North America and the American Medical Association. I take great pride in seeing all the positive results these advanced minimally invasive treatments have on our patients’ lives.